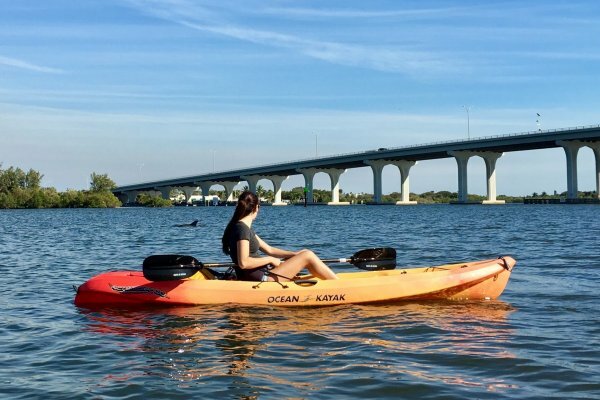 Rent a Kayak on the Indian River Lagoon in Vero Beach. 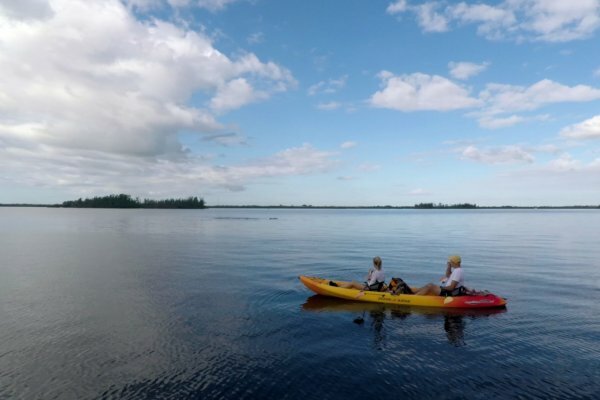 Also known as “The River”, the Indian River Lagoon is the most diverse waterway in North America. Home to dolphin, manatee, otters, turtles and much more. Our River rentals launch from our dock in the marina at Riverside Cafe. Use our kayak dock designed by EZ-Dock to make kayaking safe, fun and easy. Take a friend on a Tandem Kayak on The River. Our tandem kayak rentals launch from the dock at Riverside Cafe in Vero Beach. These sit-on-top kayaks for two make exploring The River a team building event. Helpful tip: if you sit in the back, the person in front cant see if you’re paddling, or not. 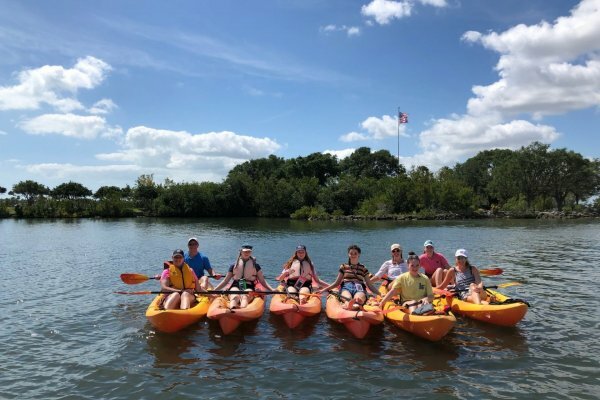 Take a guided kayak tour in Vero. We have several different variety depending on what you’re looking for. For example: we have a sunset tour, dolphin tour, full moon tour, manatee tour, all kinds of fun stuff. Click the more info button to see more details on these tours.